Report of the first Stove Mod in the Universe! About a month ago I was inspired by a link posted in one of Nathanm's posts: Some people are using PID controllers to control the heating element of espresso coffee machine. It seems that water temp is a crucial variable in order to get a good espresso and home coffee machines are simply unable to provide that a decent level of control. PID stands for Proportional, Integral, Derivative and is a mathematical algorithm (actually 3 of them) that will consider temperature differences and heating and cooling rates of the system (simplified, if not modelised explanation) in order to efficiently heat up the system and maintain its temperature without oscillations or overshoot. Being very much interested in Sous-vide but not having the funds to buy expensive lab water baths or recirculators (the baths that were in my price range on ebay just seemed filthy), I though this would be an interesting way to fabricate a simple, but yet very efficient, thermostated water bath. 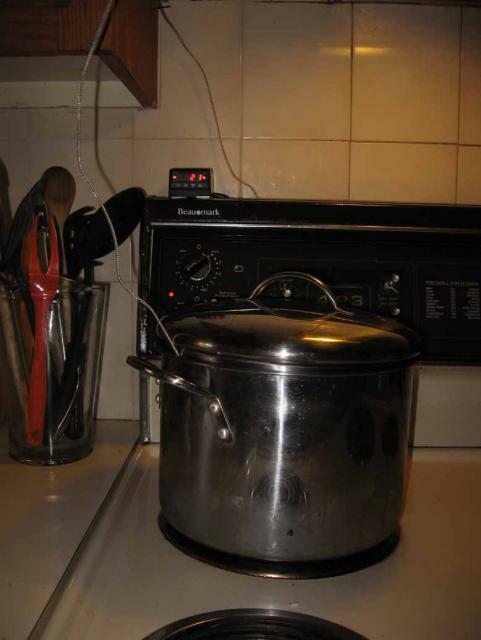 So the project was the following : buy a PID controller, a Solid state relay (a electronic on/off switch controlled by the PID device, that would open or close the heating circuit), a thermocouple and use them to control a heating element on witch the a pot of water would be placed (the thermocouple would be inserted in the pot of water). Next was to find a suitable heating element on witch to install the temp control system. After searching for a little while, the obvious struck me. A high power heating source was already there in my kitchen in the form of an electric range! This solved a lot of technical and space problems. After recieving all the parts, and closing the OVEN CIRCUIT BREAKER I went on with opening the back of my electric range. I used a free fuse space (not used in my range model) to pass the wires. The red wire is connected to 110 VAC, and the white to neutral, they power the PID. As the PID only consumes 2W of electricity, the gage is not very important, just make sure the wires are rated for 120V. The brown wire is a tripple wire normaly used for thermostats and brings the + an - power signal to the SSR (this is only a 10V signal). The third wire, I used it as a ground. I cut one of the power cables to the heating coil and conected the newly formed ends to the SSR (bottom right). It was then time to put wrap up everything. From the front it is a very small instalation, you can see the PID digits showing the currant temperature. After a little bit of ajustment for de PID constants, the bath heated quickly and efficienlty to the disired temperature and recovered fast after a sous-vide bag was inserted. It is very well suited for precice sous-vide cooking over short of long periods of time. If the thermocouple is not in the pot, the disired temperature is never reached and the heating coil can be used as a normal one! What is very nice about this instalation is that is can be used also as a DEEP FRYER or a SLOW COOKER (crock pot)!, its cost is rather low, the instalation is quite simple and it is VERY space efficient! Very, very, very cool. If I was smarter I feel like I would understand what you did more completely. Still, that's awesome. Thanks a lot! It actualy isnt very complicated, maybe I detailed my post a little bit too much and I gave too much information for it to be digestable in a reasonable amount of time. 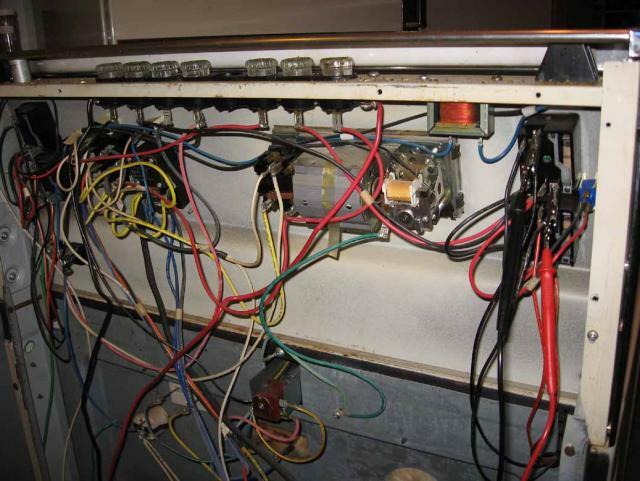 If I was to make a quick sumary of what I did I would say that I just put an electonic switch on the wires powering the heating coil. 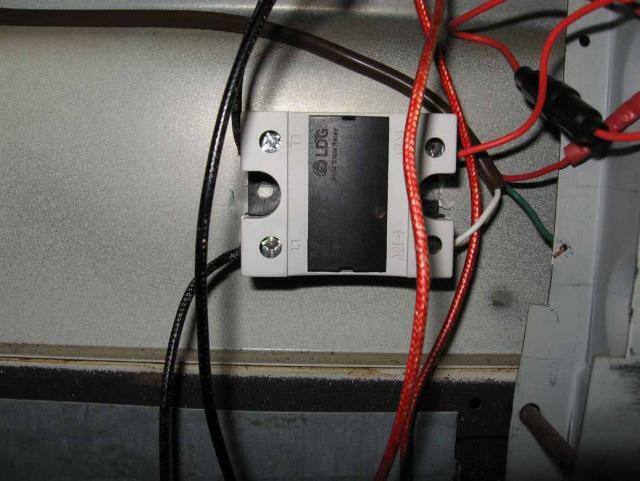 The switch is controled by a temperature controler equiped with a thermocouple. If the temperature reading is bellow the given setpoint, it heats, if it is above, it dosent heat, hence giving precice temps control (for water, oil or food in a pot on the stove). Well done Pielle - looks awesome. I was one of those posting on the use of the PID in the Sous Vide thread, I've had mine for a couple of months now but can't use it with my main hob since that is induction and switches on using a touch control panel. Since I can't replicate the "on" touch I can't get the Pid to turn on the hob. This is one of those instances where simpler is better. Your PID can control yours because the hob itself is switched on by a mechanical switch. Leave the switch in the on position and you are good to go with the PID. To get around this I am planning on buying a hot plate or boiling plate and PIDing that. Otherwise I am planning on going the same route as you have. One of the benefits in my opinion is that you can use any size pan that you already have, you don't run the risk of a second hand water bath (imagine what kind of chemicals may have been in there!) and you can mulitply the uses - deep fryer etc. I think it is the way to go. I also have a feeling that the PID may be more accurate than some of the cheaper water baths. Have you thought about adding an aquarium pump to keep the water circulating? I still don't understand why stove manufacturers don't include something like this as standard. The ability to hold low temperatures precisely for extended periods is important for many cooking processes, not just sous vide, but also sauces, egg cookery, bread proving, confit, canning in addition to the ones you mentioned, The additional cost is small, and the range of things it enables is large. Any stove manufacturers listening out there? Cool, its nice too see that some others have gone a similar way. I think it a a really cheap and efficient solution for sous-vide at home. Too bad it dosnt work with induction hubs, I was actualy wondering about that, but I guess there is just too much electronic in there already to add some external "brain" to it, it will just get in conflict. 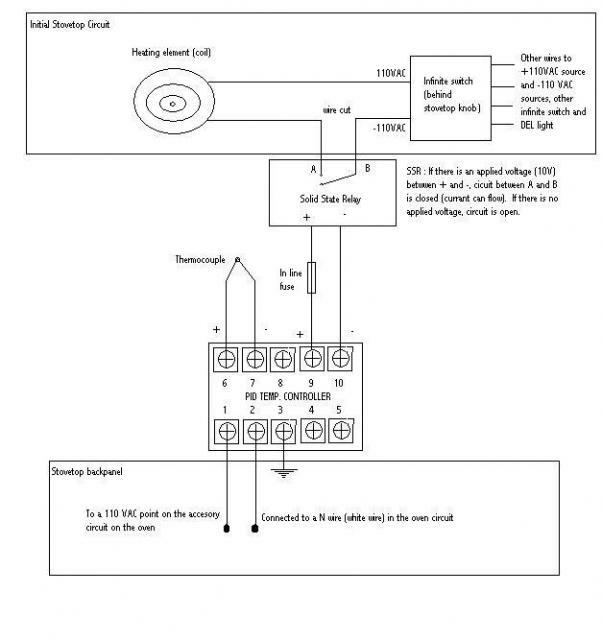 You probably already considered that but what would happen if you just tapped on the wires powering the induction coil (a bit like I did) leaving all the lectronic intact? 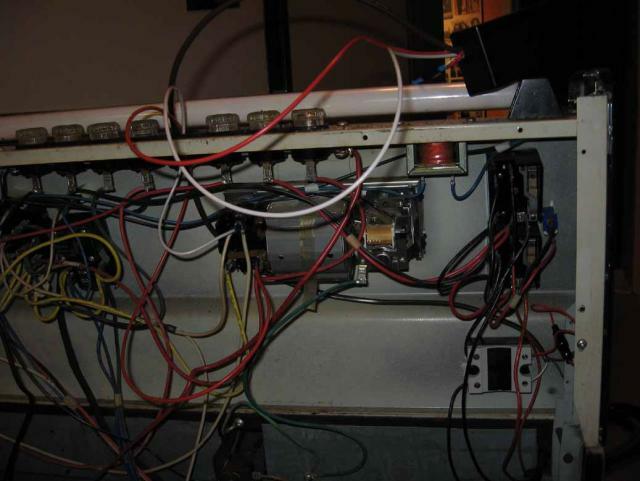 Once you powered it on, maybe the electonics woudnt notice that the coil is off some times? There is very little information actualy on how induction coils work. Do you have any? What is the voltage and frequency applied on the coil? How is the power modulated? Is it a cycling on/off control like in electronic ranges, or is the amplitude or frequency of the coil powering modulated in some way? Maybe there is a solution, or maybe we could just push on induction hob makers to provide some sort of control on temperature (I do think some models have some kind of temp control but certainly nothink like a PID). This kind of instslation most probably better then a cheap water bath in many ways as I dont think all of them are equiped with PIDs. And I do apreciate the fact that there were never any chemicals in contact with my sous-vide apparatus. Yes I have tought about the aquarium pump, but I still wonder if agitation is really necessery for my usual applications. I also tought about adding some kind of mechanical aggitation clipped on the pot and powered from somewhere in the back of the range. Exceedingly cool! Bravo for your mad engineering skillz! Pielle I really like it as a solution especially if you compare the costs to a laboratory circulator ($000's). You are right the problem is not the induction coil per se but the control electronics. I did think about bypassing the control electronics but think it might be a bit too complicated. Its a shame because I love the speed and efficiency of induction. I did some experimentation and bypassed the touch controls but the hob goes into error when you cycle it on and off. I think cooktek do a induction hob with a temp probe but it costs about $3k I think so a DIY solution would be very cool. I wasn't sure whether I'd need the circulation or not. The consensus seems to be that one probably doesn't need it if you don't have too much stuff in the pot. Our Sous Vide guru Nathanm gave some advice on it in the Sous Vide thread. One thing that I am considering is using a lab hot plate that has a magnetic stirrer incorporated. You can pick them up on eBay for about $40-60. My heart is still set on the induction though. Have you noticed the working mecanisms in the process, I would still be very much interested in that info. The lab stirer idea would be a very nice way to solve the agitation problem, it could do about anything my actual system can do and would still be quite space efficent. It may not be usable as a deep fryer thow as I doubt it would have sufficient power. It is just nice to have one machine that can do everything efficiently. Ha Pielle- I think we are living parallel mad scientist worlds. We should join "labs" and have a joint Montreal/London Sous Vide equipment task force! For me the ultimate would be the computer controlled hob then you can have the system contol the ramping up temperature, the hold temperature and the timing of the process. BTW some PIDs can be programmed to do basically this. I bought a little Data Aquisition Device that interfaces to my Mac. With this I can read the temperature of the cooking medium and control the heating element via a SSR (solid state relay). You can then also use software timers to time the whole process. The problem for me was that I don't know enough about the heat latency of water / responsiveness of the heating element to produce an accurate control formula. So in the end I figured it would be a lot easier just to use a PID since these devices basically learn the hysteresis and the profile of the heating element to produce an accurate result. Sorry I can't really help on the workings of the induction coil (I only know enough to be dangerous!). I think that they basically work but by inducing a magnetic field that then exites the molecules of the pan causing them to bump together and thus produce heat. But I don't know one iota about how the electronic circuit to do this works. Google? This was my feeling as well. I'd love to be able to just dial-in a temperature and stop worrying over every micro-adjustment of the range knob. Again, great job Pielle! Once I stop renting and actually own my own stove, this feature will be a must! I wonder if there would be a way to use a similar design to use for non-liquid applications (like sautéing etc..), perhaps by wiring in a non-contact thermometer instead of a probe-type? The modification can be made without cutting any wires so it could be 100% totaly reversible. I actualy only had to cut one wire becauase I was too lazy to extend it. All other connection are made with quick release crimp connectors. The whole system can be removed in a matter of minutes. I guess that for these kind of application one would like a thermocouple imbeaded in the surface of the pan, I guess it could be usefull. I would really like to get an infra-red thermometer in order to get a reading of the pan surface temp. Nice integration into the stove. Rememebr though, always use the same amount of water in the pot, or you'll have to rerun the auto-tune routine on the PID. Unless you need to stir the item frequenly or are constantly adding cold ingridents you can just put your pot in the oven set to the proper temperature. Use the stove top to bring it up to temperature and then put the pot into the pre-heated oven. Works great for me. BTW the mod is great! This is amazing, and it is exactly what I've been looking for. It appeals to me on so many levels; a low cost, relatively simple, ingenius solution that improves on the tool it was created to replicate. Pielle, would you be willing to talk a little bit more about the specifics? What range of fluctuation were you seeing in terms of temperature, and did this vary at all with respect to magnitude (i.e. more difficulty maintaing at a temp at 50C versus say 200C) ? How low have you tried to go in terms of temperature? PID needs some twinking of the Proportional, integral and derivative coeficients in order to work properly. Without too much effort, I have found some parameters who seem to work nice. It heats up quite fast with no more then 1C overshoot. I have done food at 45 C and 60C with the same parameters and both work well. I havnt cheked yet at 180 C (temp for deep frying) but for this application, temp control is MUCH les crucial. I need also to check how the system reacts to diffrend pot sizes and water volumes. It seems pretty stable to me, I dont think the system is very difficult to control. The PID setting will not change for different temperatures, they WILL change for quantities. Remember with more or less water you'll have less or more "heat inertia" so the PID won't cut out soon enough. Either way, the differences may be so small that it isn't worth worrying about. This is the only problem I have had with the system so far. I will try to look for a more suited TC and will post about this when I find one, but in the end the workaround solution, for a mere 3$ +plastic bag will alaways be the least expensive solution. One could bolt the TC through the side of a water bath and use a quick release plug. Like everybody else, I think this was a great idea and it is a very cool thread. Here are a couple comments. I have never understood why electric ranges don't have temperature controls like this - it is pretty simple for a manufacturer to do this. There is really no excuse. Many induction ranges, or induction hot plates have a temperature control mode, but they usually miss the point and have the temperature sensor built into the surface of the hot plate. This is better than nothing, but is inferior to Pielle's approach of having a temperature probe in the pot. Even if the bottom of your pot is exactly at a set temperature, it does not guarantee the same temperature for the contents of the pot - different size pots will have different amounts of heat loss. Several laboratory hot plates do have temperature probes similar to Pielle's set up. They also have one additional advantage - they have integrated magnetic stirrers. The one possible problem with Pielle's approach versus a water bath is that there is a benefit in having the water undergo forced circulation, because that prevents dead spots . Stirring is also a good idea with thicker fluids - i.e. if you wanted to simmer spagetti sauce unattended. One way to integrate stirring with Pielle's range top would be to use a laboratory overhead stirrer. These are motors with a propeller like stirring end - a bit like the malted milk stirrers used at a soda fountain, but you can make them very slow to very fast. You can get them on eBay. One of these would keep the pot stirred while it cooks. With respect to the thermocouple problem, there are many sources of competely impervious thermocouples, or other temperature sensors, for example ThermoWorks you can get them encased in teflon, glass or other things. is the problem temp variation within the water bath, and most critically for us, the local temp around the SV bag? if so, hopefully a big enough volume of water and long cooking time should mean that local temp variation will be kept at a minimum, because the SV bag would have had plenty time to equilibrate with the water bath, and the PID-controller heating element is just there to balance conduction losses from the water bath. a SV nub, well-fed but hungry for SV! Question no. 2, you said above that you can actually use the knob to adjust the power, now, wouldn't that affect the tuning process too? and therefore needs to be auto-tuned again? I am planning to modify a slow-cooker (or a rice cooker, because it has greater wattage) in the next 1-2 months. Will definitely post my results! No, the evaporation is not a problem with the lid on, keeps it water lever for days. The other two questions will be answered together! The system is actualy very flexible and will acomodate about anything if you are willing to sacrifice a little more heating time. I actualy never did the autotuning. I tried a few settings, just heating up, emptiing the pot, changing the settings and trying all again. I found some settings that pleased me and never changed them since. The most difficult part is not getting overshoot, because getting back down in temperature is very long. But once the system is stable at one temperature is stays there, even if you perturbate the system. Dont wory about the water level! I usualy use a 5 quart pot but once used a 20 quart pot with the same settings. I got a little oveshoot, but nothing major. I put a few ice cubes and everything was back on track. And even once the system is stable at one temp, if you turn the knob, the system will react automaticly and ajust itself to the new setting, decreassing its temp by no more then 1C, many thanks to the "I" part in the PID system. Really, this system is very low maintenance and trouble. You dont have to look after it. It keeps its temp, all the time, never going up or down by more then 1C. Thanks for you incouragments Nathanm! You certainly were my main inspiration for all this. Giving me the link to the coffee machine PIDers and providing increadibly usefull insingt on sous vide cooking made this possible. I guess the lawyers object anything that could bring some people the get sick and sue them. At the momment, the main temp reference people have it boiling water, which kills just about anything but some anaerobic spores. They dont want this wonderfull tool to get in hands that woudnt understand it. Same things goes with thermometers. They sell them, but give ridiculous instruction for use, which, in fact, straight lies! Having an organic chemistry background, I have delt with those stirers in the past. I also tought a lot about the pros and cons of adding a stirring mecanism to my contraption. But in the end, I am having a hard time finding justification for adding this. My current system is very stable, and meat cooking is totaly uniform. I have difficulty thinking about a batch cooking that will require a volume of meat too great to handle without stiring. The only thing I do in big bathes is confit, and confit does not need great temp control. Seems just too much trouble for what I could get from it. I really like the space efficiency and the high power (for rapid heating and deep frying) of my stovetop installation. Things that I would lose if I installed it on a magnetic stiring plate (and also a couple of questions rises when you think about metal cookware and magnetic stiring... maybe with non-magnetic metals it would work). Thanks a lot for the thermocouple link! I also wanted to repport that I used my system yesterday to do a wunderfull hollandaise : heated a bain marie (the bottom of my "cul de poule" was actulay in contact with the surface of the water) at 60 C and made my sabayon with egg yokes and lemon juice, and then made the hollandaise with "beurre noisette" (browned butter). I did hold it a few min at that temp but served it quite fast. It would be quite easy with this system to find a temp were the hollandaise would hold for a long time but still not be in the "danger zone" for pathogens. I need to make some experiments to figure out the best holding temps but I think I finaly found a reproducible and fool proof way of making hollandaise and bearnaise that is also not time consuming as you dont have to check your things all the time. Put your water at 60 C is a whole lot better then : touch your pot, it should not be too hot as you coudnt hold your finger on the side for a few secconds (classic indication for making hollandaise).